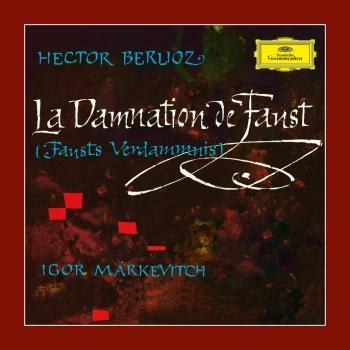 Markevitch's recordings of Berlioz's "Damnation of Faust" and "Harold in Italy." The music of Igor Markevitch made a sensational impact in the late 1920s, when he was only in his mid-teens; by the mid-1940s Markevitch put composition aside and was happy to allow his prominence as a conductor obscure his earlier eminence. It was to be half-a-century before a series of CD recordings on the Marco Polo label reminded the world of what a powerful and original composer Markevitch really was. Igor Markevitch was born in Kiev, on 27 July 1912, the son of the pianist Boris Markevitch, who had been a pupil of Raoul Pugno and Eugen d’Albert. In 1914 the family moved to Paris, settling two years later in La Tour-de-Peilz (Vevey), Switzerland, which was to be Igor’s home for the next decade. He studied first with his father, after whose death, in 1923, he took lessons from Paul Loyonnet. Markevitch’s first breakthrough came in 1925, when Alfred Cortot heard him play his piano suite Noces, and the next year Markevitch entered the École Normale de Musique, in Paris, to study piano with Cortot and harmony, counterpoint and composition with Nadia Boulanger. The next major advance in his career came in 1929 when, only 16 years of age, he was introduced to Sergei Diaghilev, who was deeply impressed by Markevitch’s Sinfonietta, completed earlier that year, and commissioned him to write a piano concerto; it was premiered in London, with Markevitch at the piano and Roger Desormière conducting, welve days before the composer’s seventeeth birthday. Desormière was also responsible for the first performance of Markevitch’s Cantate on 4 June 1930, a work which attracted boundless acclaim; B. Schott und Söhne enthusiastically agreed to act as Markevitch’s publisher, a position which lasted only until 1938 and the Anschluss. At the age of 20, Markevitch found himself a composer with a reputation as one of the brightest lights in the musical firmament and, for a while, the music flowed from him: Rébus (1932), L’Envol d’Icare (1932), Hymnes (1932–33), Petite Suite d’après Schumann (1933), all for orchestra; Psaume for soprano and orchestra (1933); Le Paradis perdu, an oratorio for soprano, mezzo-soprano and tenor soloists, chorus and orchestra (1934–35) – at 50 minutes, his biggest work). Between 1928 and 1941 he produced at least one, sometimes two, original works every year, almost every one of them eliciting the astonished admiration of his fellow composers and the critics ("A very great work", wrote André Coeuroy of Le Paradis perdu; and Milhaud reported that L’Envol d’Icare "will probably mark a date in the history of music"). But the Variations, Fugue and Envoi on a Theme of Handel, for solo piano, written in 1941, was to prove his last original composition. Markevitch had settled in Italy in in 1940 and, despite serious illness in the winter of 1942, he played an active part in the Italian resistance after the German invasion of Italy in 1943. Markevitch had made his debut as a conductor in 1933, in the Dutch premiere of Rébus, with occasional subsequent conducting lessons from Hermann Scherchen over the following three years. When, in 1944, the British forces asked Markevitch to reorganise the orchestra in Florence and the Maggio Fiorentino, it marked the beginning of a second career, as a conductor, almost entirely distinct from the first. Over the next thirty years, he held positions in Stockholm, Paris, Montreal, Madrid, Monte Carlo and Rome, and he held conducting seminars or courses in Salzburg, Mexico, Moscow, Madrid, Monte Carlo and Weimar. 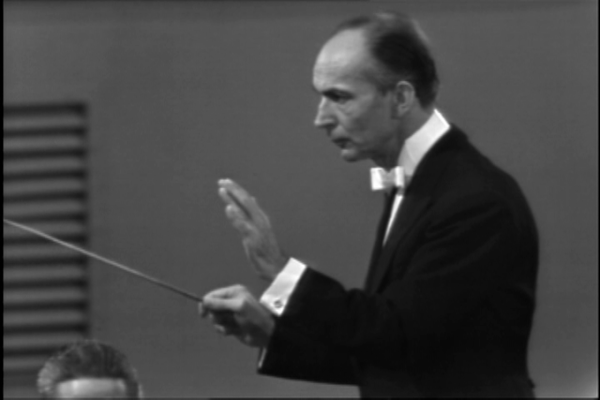 In January 1978, five years before his death, Markevitch at last returned to his own music, conducting a concert in Brussels which included Icare (the revised version, from 1943, of L’Envol d’Icare) and La Paradis perdu. He now began to conduct his own music with growing frequency, but his early death, on 7 March 1983, in Antibes, prevented him enjoying the full fruits of the "Markevitch revival" that is now underway.